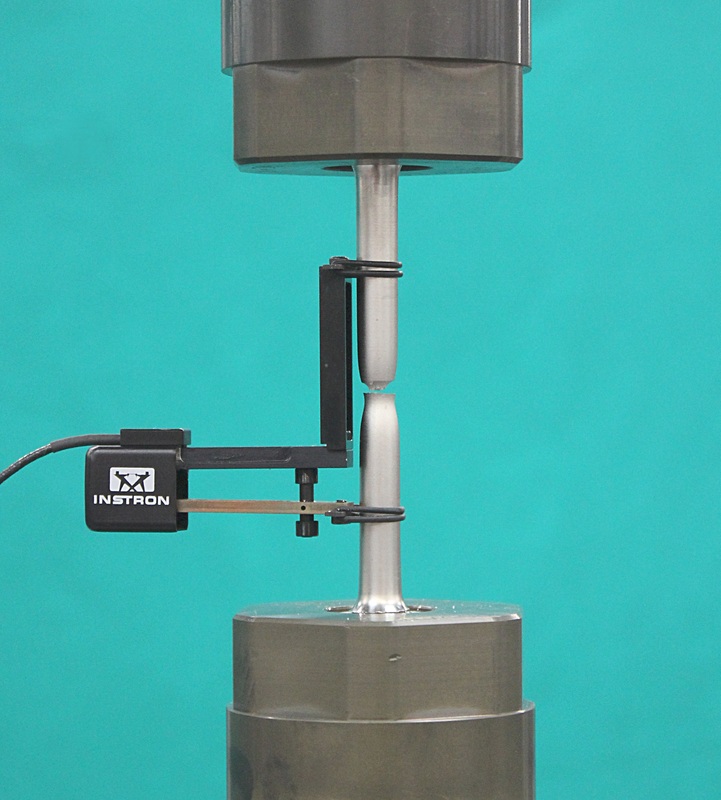 Tensile testing is a method used to determine physical properties of materials. Specimens are subjected to increasing loads applied at a constant displacement rate or strain rate. A relatively slow rate is used to determine Young’s modulus and proof stresses followed by a more rapid rate to obtain ultimate tensile strength (UTS) and finally achieve fracture (elongation). The Elastic Modulus (or Young’s Modulus) which is determined by the ratio of stress to strain below the elastic limit. The Modulus of Elasticity measures the stiffness of a material, but it only applies to the portion of the test where the ratio of stress to strain is constant, i.e. the straight-line portion of the stress/strain graph prior to the beginning of the curve. At this point in the test, if the load is removed, the test specimen will return to its original condition. After this point in the test, plastic deformation begins to occur, and therefore the test specimen will not return to its original proportions upon relaxation of the load (i.e. it has yielded). 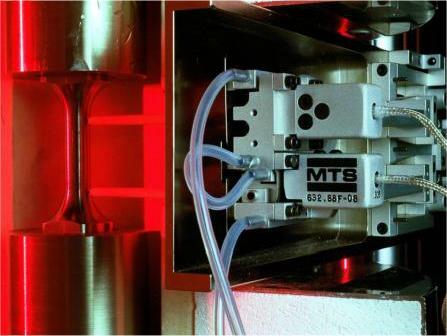 The Ultimate Tensile Strength (UTS) is determined by dividing the peak load achieved before rupture by the original cross section of the test specimen. 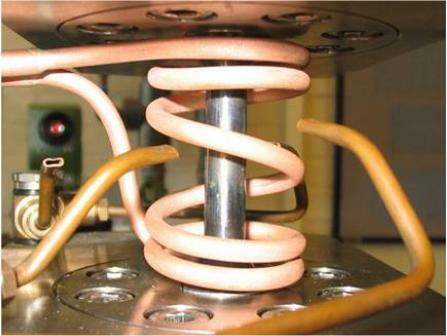 Yield Strength is determined by the amount of stress that is required to begin plastic deformation of the test specimen. Proof Stress is the stress at which a non-proportional extension is equal to a specified percentage of the extensometer gauge length. Typically, 0.2% proof stress is reported (i.e. the stress achieved at 0.2% strain). To determine the 0.2% proof stress, a line is drawn from 0.2% strain with the same slope as the Modulus of Elasticity. The stress value at the intersection of this line with the stress/strain plot for the test provides the required proof stress. The Elongation can be reported from two methods. Elongation At Rupture can be measured if the extensometer can stay on the specimen until fracture (dependant on the degree of travel of the extensometer). Alternatively, Elongation After Rupture can be measured by physically fitting the broken parts of the specimen back together post test and measuring the increase in gauge length (with pre and post test measurements taken at ambient temperature). Both forms of elongation are reported as a percentage of the original starting gauge length.